Our Calgary Alberta ice dam removal company is fully insured and specializes in steam ice dam removal. Therefore, if you have an ice dam or roof leak in Calgary we have your answer, “steam.” Steam is safe and gentle on all roofing materials and won’t do damage like a hammer or hot pressure washer. You should never allow any form of impact on your roof. Choose our Calgary Alberta ice dam removal service to respond quickly to your needs with steam. Please contact us now. 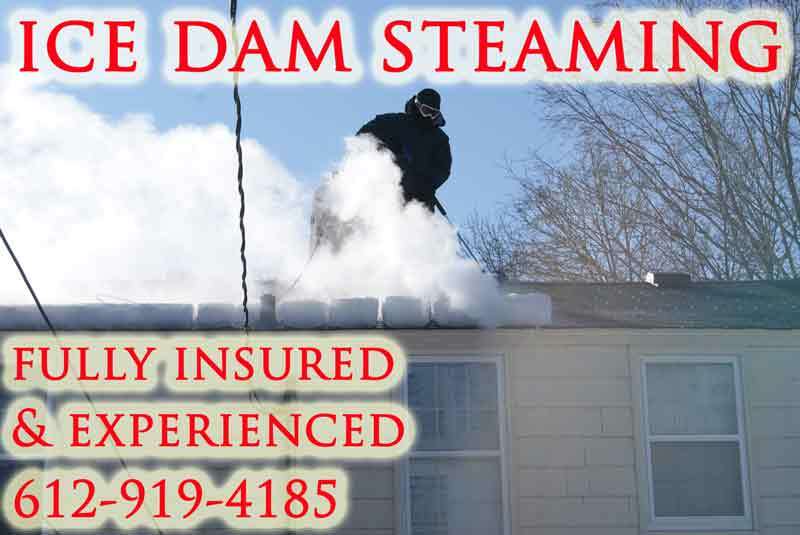 Our Calgary Alberta ice dam removal service offers same day steam ice dam removal to all of Calgary, 24 hours a day! We work long hours to save properties from ice dams in Calgary. When you hire our Calgary Alberta ice dam removal service you are hiring a company that has over 20 years of knowledge in the steam ice dam removal industry. And it’s always safe to say, “experience will get the job done quicker than someone with less experience.” So let our experience on roofs and experience with steam equipment save you money and save your roof from damages. Hiring someone with less experience or the wrong equipment could cost you big bucks. Our Calgary Alberta ice dam removal service is backed by “IDSAFE” the Ice Dam Steaming Association For Education. Therefore our membership within IDSAFE means we are using the correct low pressure steam equipment that cannot damage roofing materials. Warning! – many companies use high pressure hot water power washers that destroy roofs! Don’t let your roof get wrecked by a pressure washer or a hammer! To avoid roof damage click on our member logo or the IDSAFE link above to learn about steam ice dam removal vs pressure washers. Steam is the only safe way to remove ice dams from the roof and gutter system with no damage. Never allow a pressure washer with a trigger gun on your roof! We believe that honesty, integrity and transparency are the best policies in business. 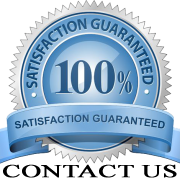 Therefore our Calgary Alberta ice dam removal service is very transparent with information and facts. In fact, we have more YouTube videos on steam ice dam removal than any company in the world. So please enjoy this short video below or visit our channel to watch over a hundred more videos on ice dam removal. Please observe in the video below how you can identify a hot pressure washer from a steamer by the handle of the gun. Long cold snowy winters make Calgary the perfect location for ice dams. That’s the bad news, but the good news is, your entire neighborhood will likely be in need of ice dam removal as well. This’s good news because you could receive a huge discount for referring your neighbors to us. Therefore, ask us about our neighborhood discount program and save. So, if your property has ice dams please get in touch with us to discuss our ice dam steaming service. Our Calgary AB ice dam removal service will also travel to Red Deer, Edmonton and beyond to steam ice dams. Driving far and working long hours is what we do during ice dam season so you can rest easy. Removing ice dams with steam from residential and commercial properties near Calgary is our passion. We answer phones 24/7 and reply promptly during ice dam season. We also offer ice dam removal to the following cites near Calgary AB: Edmonton, Red Deer, Lethbridge, Wood Buffalo, St. Albert, Medicine Hat, Grande Prarie, Airdire.